Even the best GMs can’t do everything themselves. They need a staff of hardworking assistants to give them the information they need to know, when they need to know it. And fantasy GM’s are no different — that’s why there’s FanDuel Scout. Scout syncs with your FanDuel account and keeps an eye on the players in your lineup. So if your star PG goes down in warmups, Scout will let you know before lineups lock. And tell you who’s starting in his place. 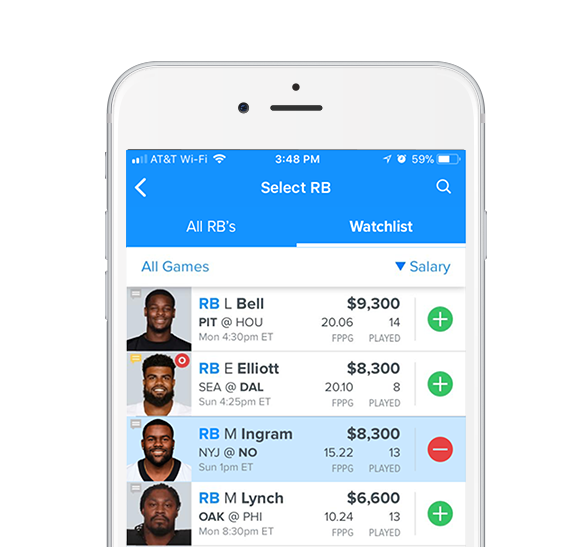 Since Scout syncs with the FanDuel app, you’ll see your Scout Watchlist when you’re building your lineups. So you can easily find all the players you’ve been keeping an eye on. Scout is now available for all your favorite fantasy sports.